When you started or returned to college this year, you may have heard a lot around campus about making smart financial decisions. Paying for college is more than just applying for scholarships, grants, and student loans. Part of managing your money while in college includes making informed decisions when picking a checking or prepaid account. Your college may offer an "official" account that is attached to your campus ID or is marketed using your college’s logo, also known as a college-sponsored account. Just because a bank, credit union, or other account provider pays your college for the right to market an account with your college’s mascot, logo, or name, it doesn’t always mean that it’s the best deal for you. New information provided by the Department of Education can help you determine if the bank account sponsored by your college is safe and affordable. You can now see how much your classmates pay in fees when they use your college’s sponsored account, and how much your college is getting paid as part of the deal. Starting this month, colleges now have to publicly report on their websites how many students use their sponsored accounts, how much those students pay in account fees, and how much money they get paid to promote these accounts by the account provider. You can now compare your college’s arrangement to other arrangements in place at different schools. The Department of Education lists many colleges that have arrangements on its school data center . Keep an eye out for college-sponsored accounts that contain costly fees and risky features that can lead you to pay more than you expect. These fees can include out-of-network ATM fees, balance inquiry fees, monthly maintenance fees, or overdraft fees typically around $34 per transaction. For some students, these fees could add up to hundreds of dollars a year. That can mean students at some colleges can collectively end up paying hundreds of thousands of dollars in fees. Small, unexpected expenses like account fees can cause problems for some students. Research has shown that even small financial shocks—a few hundred dollars—can cause significant financial hardship for many students, and even deter some students from completing their degree. Learn more about how deals between colleges and account providers can affect your financial well-being . Some colleges have moved to sponsoring safer and more affordable student accounts to protect their students. However, dozens of other colleges still promote accounts that do not place limits on account fees, including some of the nation’s largest colleges and universities. Check out our report on campus banking to learn more. With the right information and a few helpful tips, you can avoid high-fee accounts by opening or switching to a more affordable account. You can also encourage your school to sponsor safer and more affordable accounts on campus. You can always shop around for a better deal. Just because your college sponsors an account does not mean it’s the best account for you. Based on how you use your account, you might find that some off-campus accounts may provide financial benefits that are especially helpful to you, like reimbursement of ATM fees charged by other account providers, or cash back for purchases. When looking for the best account to fit your needs, you can use our checklist for opening a new bank or credit union account. You can also check out our guide to Managing Your College Money. You have new rights designed to help make sure you are offered the best account possible. The Department of Education requires colleges to negotiate the accounts they sponsor to be in your "best financial interest." Some colleges negotiate for accounts that make it nearly impossible for students to incur account fees, while other schools go further and arrange for accounts that can even put cash back in your pocket. If your college sponsors an account with consumer-driven terms and conditions, students like you at your college can save hundreds of thousands of dollars in unnecessary fees. You have a say in whether your college’s sponsored account is in your best financial interest. 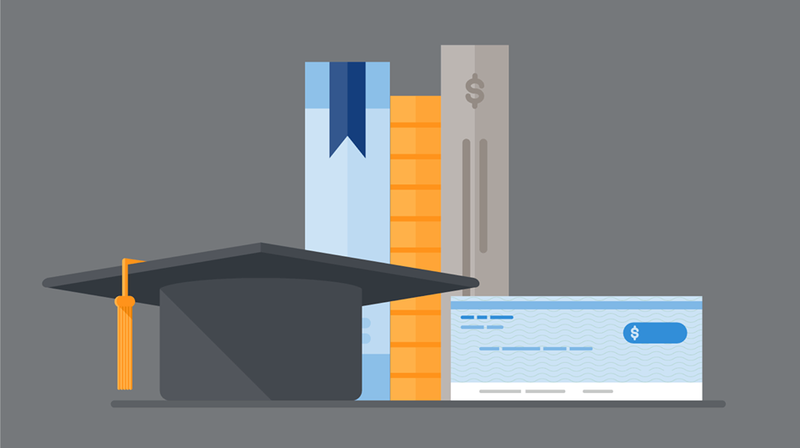 Your college may already sponsor an account that makes it easy to avoid most fees. Check your school's website for new data on the fees students at your school pay when using the sponsored account. If you think the account your college sponsors is hard to avoid most fees, or is not in your best financial interest, you can file a complaint with your school. You can typically file a complaint by contacting your college’s business office. The Department of Education requires colleges to consider student complaints when determining whether the account is in their students’ best financial interest. As you continue in your studies, always monitor your account for unexpected fees or changes in account terms. Also, keep in mind that some of your account benefits may only be available while you’re enrolled at the sponsoring school, so you may lose some benefits if you transfer colleges or are no longer a student. If your account provider relies on your college to report whether you are a student, you should watch out for enrollment status errors. We previously warned student loan borrowers of problems that may occur when companies that use your college’s enrollment data erroneously believe you are no longer enrolled in college. If you have a problem with your student checking account, you can submit a complaint. If you just want to share your experience with student checking accounts and debit cards, tell us your story and include “campus debit card” in the “what happened” field. If you have more questions about student checking accounts, check out Ask CFPB, our online database of frequently asked financial questions and answers.